It is a fact, without a shadow of doubt, that all kinds of accidents are dangerous. Regardless of whether you are riding a two wheeler or driving a four wheeler, there could be nothing worse than getting into an accident. However, the fact remains that accidents happen; at times due to your fault and at times due to the fault of somebody else. And if you have been in one, it is better to contact a bicycle accident attorney like Javier Marcos. Imagine you get into an accident while driving a car. The fact is that you will not feel the full brunt of the accident, owing to how it is your car that will smacked first and not you. In case the accident is minor, there is a high probability of you coming out of it without even a scratch. On the other hand, when you speak of accidents involving bicycles, the outcomes are much more horrendous. Why? Well, it is because the bicycle and the rider are practically a single unit, being the reason why the rider experiences the accident with all its brute force. Bearing this in mind, it is only logical to assume that there will always be damage suffered in accidents involving bicycles, regardless of their intensity. Driving a car, for instance, offers you a greater room for error to work with. If you make a simple mistake while driving a car, chances are that it will not end up costing you dearly. When you speak of driving a motorcycle, on the other hand, the margin for error shrinks significantly. With bicycles, you cannot afford any mistakes whatsoever; owing to how even the silliest of mistakes can prove to be fatal. A thing to note here is that this does not grant you the license for reckless driving, in case you drive a car. What it means, however, is that you chances of survival are better if you get involved in a car accident. When you are out on the roads on your vehicle of choice, there will be occasions when you will need to apply the brakes immediately. On such occasions, a car will serve you better than a bicycle. Why? Well, it is because the sudden application of brakes, on a bicycle, often results into the bicycle losing its balance. This is not the case when you speak of cars and other four wheelers. When you take it all into perspective, you have to say that there are numerous reason for a bicycle accident being more severe than car accidents. Do not deal with this yourself, get help now with bicycle accident Attorney Javier Marcos. Bicycle Accident Attorney Javier Marcos can help bicyclists that have been hurt in an accident by a car, chased by a dog, hurt by a car door, died because of accident impact or wrongful death. 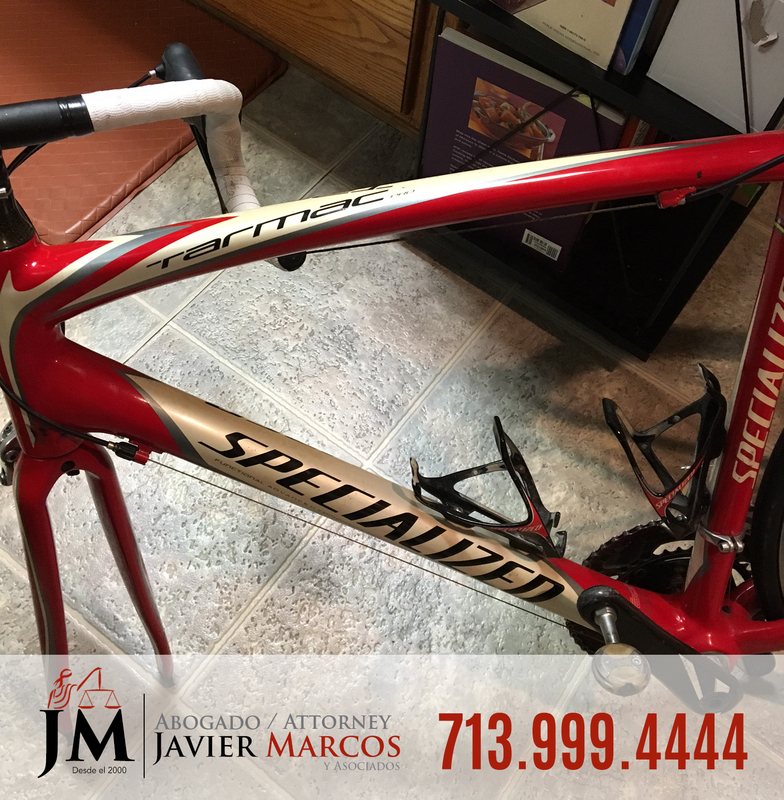 If you suffered a bicycle accident, call 911 immediately, then call Attorney Javier Marcos at 713.999.4444. The consult is free, you can call 24 hrs, we go to you, receive medical attention at no cost and there is no payment unless we win the case.